NYC, 02/07/2019, 2:00PM. 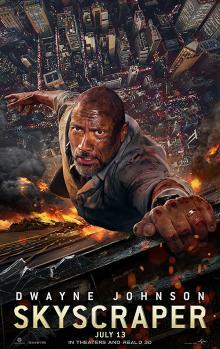 Skyscraper (2018): An action thriller with Dwayne Johnson. 102 min. Director: Rawson Marshall Thurber. Starring Dwayne Johnson, Neve Campbell, Chin Han. Skyscraper has grossed over $304 million worldwide against its production budget of $125 million. Filming began in September 2017 in Vancouver, British Columbia, Canada.